Did you take part in the Rediscover: initiative’s Summer Share Project? 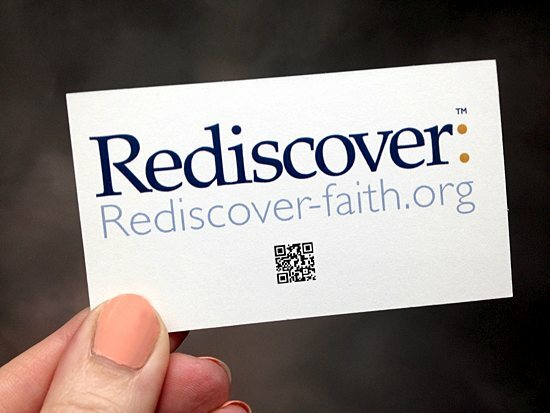 The project, launched at the end of May, made free, business-size cards available featuring the Rediscover: website on one side and the site where the Rediscover: app could be downloaded on the other. Catholics of the archdiocese were encouraged to take two cards and give them away this summer to people they thought could benefit from what Rediscover: has to offer. If you have a Summer Share Project success story to tell, we would like to hear from you and possibly highlight it in the newspaper and online. Please email your story to catholicspirit@archspm.org, and write “Summer Share Project” in the subject line. Or mail it to The Catholic Spirit, 244 Dayton Ave., St. Paul, MN 55102. In either case, please include your name, parish and daytime telephone number.